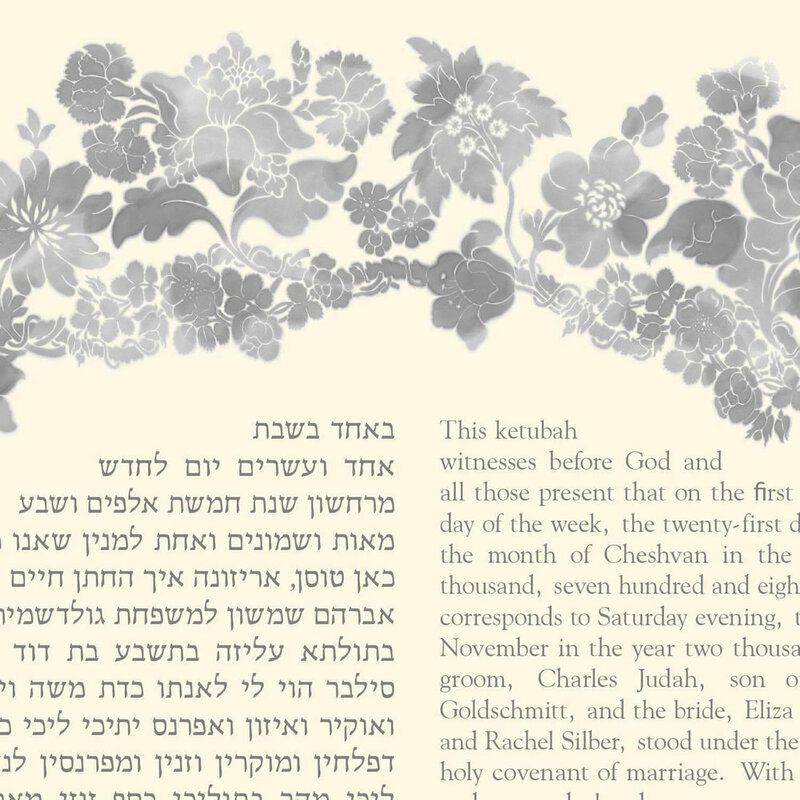 Lush flowers make a garland around the text. The elegant color scheme, a simple gray watercolor against an ivory background, keeps complex flowers from becoming too ornate while bringing out the rich detail. This design in Hebrew and English is beautifully legible at 20x20, 24x24, or 30x30. Those ordering single language texts can order the 16x16 and still have satisfyingly clear text.